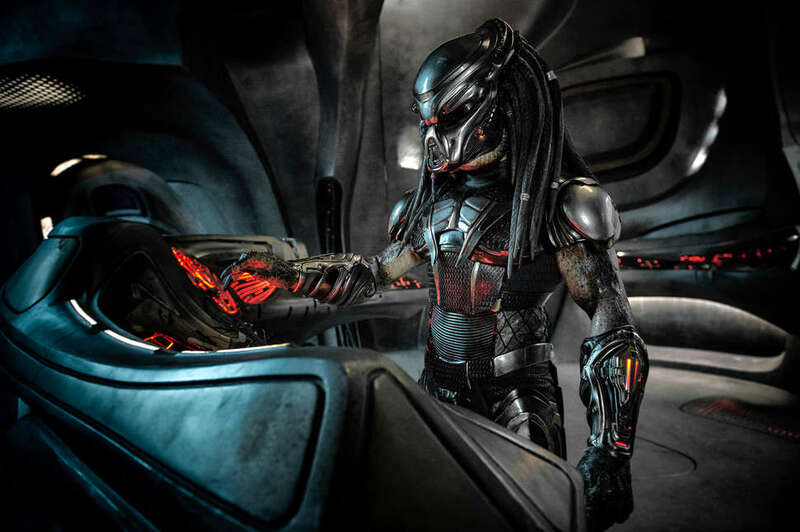 In The Predator, a new entry in the venerable sci-fi franchise from writer-director Shane Black, multiple characters point out that Predators shouldn't be called Predators, but should instead be called Sport Hunters. But Sport Hunter wouldn't be a snappy enough name for this franchise that just won't die, no matter how nonsensical its name is. Despite that acknowledgement, Black's new movie is less the goofy, garish sequel we were hoping for and more an act of universe-building. But, hey, at least there's a bigger, badder Predator on the scene, one that looks like he's been doing CrossFit. The film opens when Boyd Holbrook's army sniper Quinn McKenna encounters a crashed Predator vessel in Mexico. Making a potentially fatal mistake, he makes off with some of the alien's technology. It ultimately lands with his son, Rory (ROOM's Jacob Tremblay), a genius with Asperger syndrome who plays with the gear like a video game. Bad idea. Anyway, as our lizard-y bud starts rampaging, Brackett is hooked up with McKenna and his new pals, a ragtag crew of veterans who call themselves the Loonies, because they've all been deemed crazy for one reason or another. When members of this group are all together, the zippy, off-color dialogue really starts to pop, especially when handled by Keegan-Michael Key and Thomas Jane. Holbrook, meanwhile, is a bland choice for our hero, while Moonlight's Trevante Rhodes exudes the kind of cool you'd want from a leading man. But ultimately it makes sense that the biggest star on the TIFF red carpet was a person in a Predator suit, because all the actors take a backseat after the arrival of a Predator jacked like Arnold Schwarzenegger. Why he has this new physique is something I won't spoil yet, but let's just say there's some internal conflict among our not-so-friendly extraterrestrials over how to deal with the human race. This plot development boils down to a final moment that basically screams sequel. And, no, it's not an Alien vs. Predator. It's more like Advanced Humans vs. Predator. It's exhausting.